Lakeside deep, generously proportioned cushioned outdoor patio furniture truly brings the elegance and comfort of the indoors out, allowing yards or patios to become an elegant outdoor room. Designed by Peter Homestead, the Lakeside Cushion Ottoman features clean lines and generous foot-resting surfaces to provide an elegant, yet rustic, charm. Lakeside Cushion Ottomans feature RELAXplus® Cushions offering plenty of plush relaxation to enhance any occasion. 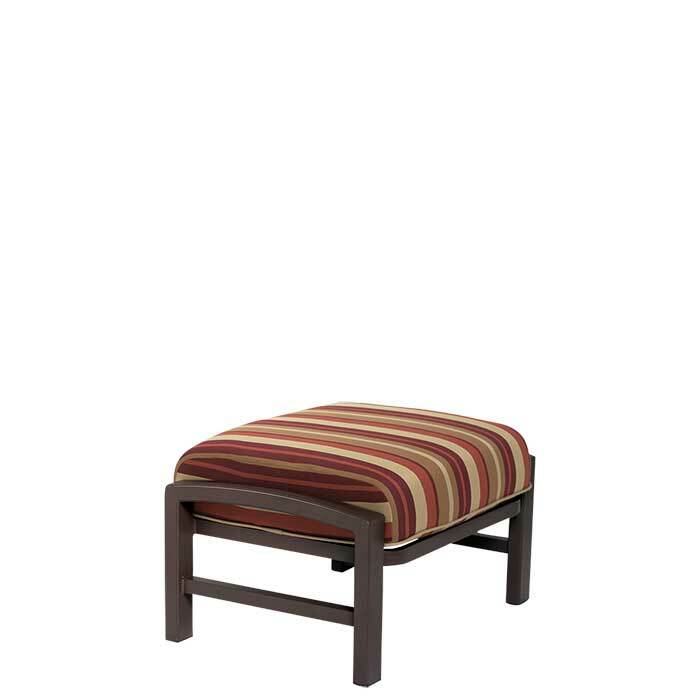 Sit back and relax your feet upon Tropitone's Lakeside Cushion Ottoman.